Airbus has just delivered American Airlines it’s first A321neo! The plane has just touched down on US soil in Pittsburgh, fresh from the Airbus finishing facility in Hamburg, Germany. The new A321neo (tail number N400AN) was delivered in the early hours of the morning from Germany to the USA via a short 8 and a half hour flight. It has already been scheduled to fly on April 2nd between Phoenix Sky Harbor (PHX) and Orlando International Airport (MCO). The first route of the new A321neo for American. The tickets for the first flight of the A321neo are on sale. This service will have powerful wifi on board, power at every seat (not just first), free entertainment via passengers own devices (including live streamed sports), LED mood lighting and the new Airbus overhead bins that apparently can fit twice as much luggage. On board they will have 20 first class seats, 47 premium economy seats and 129 economy seats. Why did American Airlines order the A321neo? 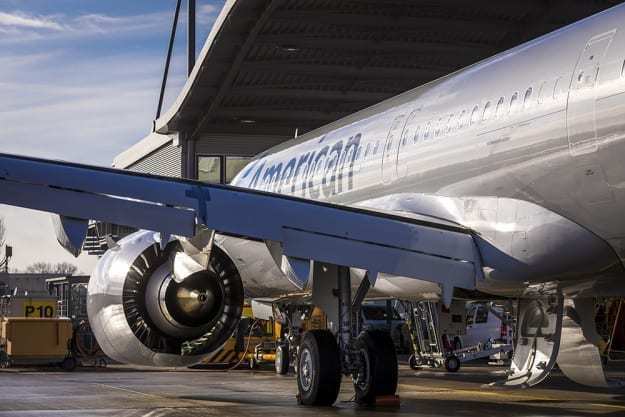 The A321neo is an important plane for American Airlines, who will use the new aircraft to replace the aging Boeing 757s in their fleet as well as their few McDonnell Douglas MD-83’s. They currently have another 99 A321neos on order that will continue to be delivered over the next few years. These new aircraft take advantage of modern plane design principles, allowing for longer range (400 nautical miles more) and more fuel efficiency (thus saving money). And compared to the A321-200’s currently in the American Airlines fleet, each of the new A321neos can carry an extra 9-15 more seats. But before the jet enters active service, it will undergo a month of testing by American Airlines officials. This is because it is a brand new type of jet for the fleet, and many functions and forms need to be double checked to ensure that there are no hidden surprises. Plus, not only will they ensure that the jet is up to the standard promised, but that they will install onboard wifi, entertainment content, American Airline signage and more. The A321neo will then tour several American Airline hubs to be introduced to staff (whom presumably will be flying on the next iterations) before entering service. 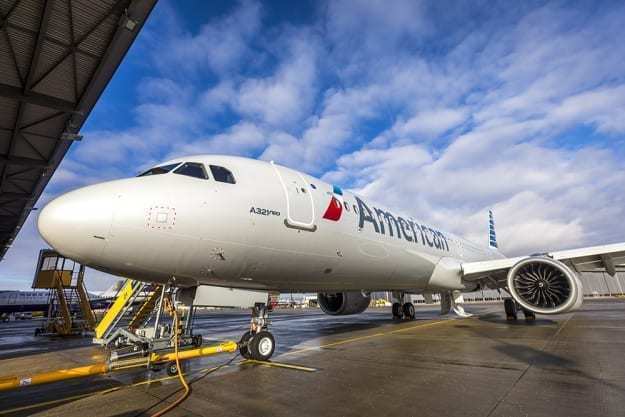 Are you excited to fly on the new American Airlines A321neo? An extra 9 – 15 seats. Typical for American nowadays, great new airplanes, horrible new seat layouts. Even for those of us (Executive Platinum) who only flies first (either upgrades or purchased) the experience has been downgraded. I avoid at all costs the new 737Max, First class has the legroom of economy plus, no IFE. I’ll take a A321B Sharklets over this new place ANYTIME. American is becoming no better than many low cost carriers, except that they still have the legacy airline pricing. Delta is the last good airline that still give decent seats and entertainment on every plane.